Jumbo Suicide Door Hinge shown partially open This shows the optional ball stud mount for attaching a linear actuator or a gas shock and the wire pass-through for hidden wiring. 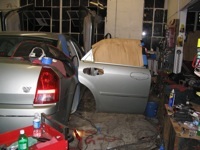 This shows the door side mount area the other end of the wire pass-through opening for hidden wiring. These are billet aluminum hinges, 5" tall, 4" deep, with a 5/8" thick wall. This design includes a new adjustable steel base plate and mount flange design to make installation easier than previous designs. Brush finish is standard. 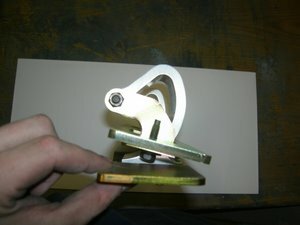 The hinge rotates on precision pivot pins with bronze bushings. 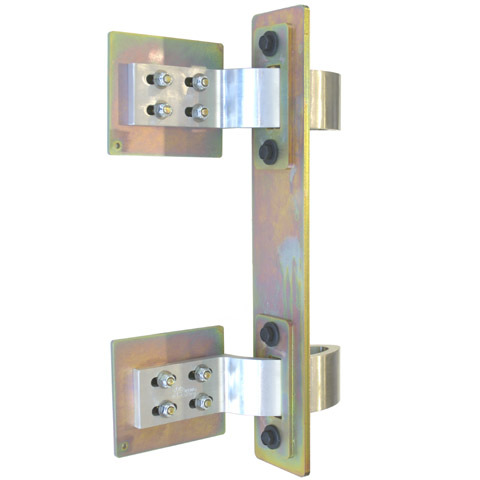 These large sucide hinges all include a ball stud mount for an optional force return using a gas spring, gas shock or linear actuator. 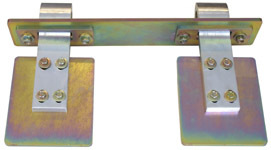 This jumbo suicide hinge is intended for medium to heavy weight doors, such as a mid or large sized four door car or a small or mid-sized trucks and SUVs such as the H2 Hummer, Escalade, Ford Excursion, Chevy Suburban, Yukon, Tahoe. 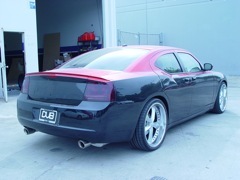 It has also been used on full-sized cars such as the new Chrysler 300 300M, Dodge Charger and Magnum cars. 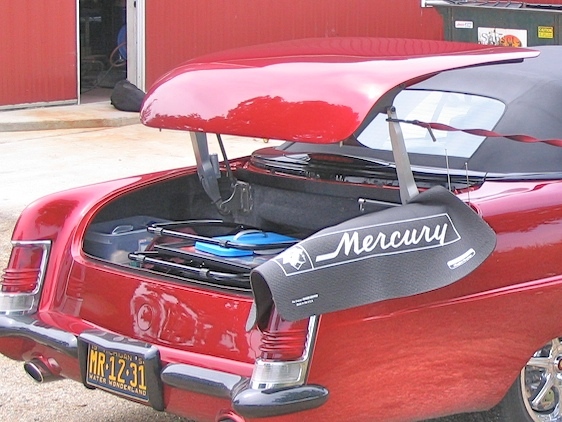 Includes steel mount plates for welding hinges to structure, and pivot hardware. 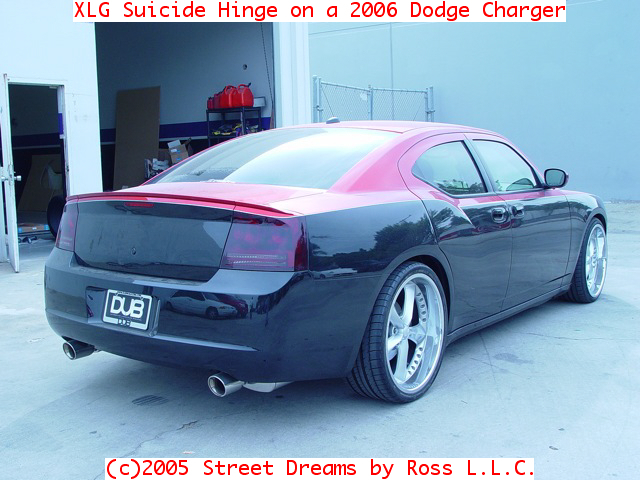 Includes bolts and hardware to bolt to door, but requires mount plates to be welded to the door and jamb. 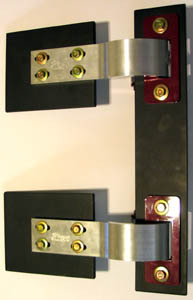 One kit is a single hinge intended to convert one medium-to heavier weight door to a suicide hinged door. Optional ball stud mount point for gas shock or linear actuator extra, per hinge. Billet aluminum door hinges, 2" tall, 3" deep, 3/8" thick wall. Brushed finish is standard. 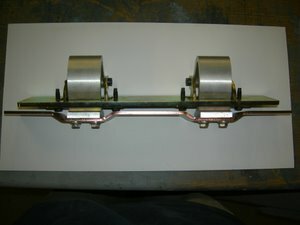 The hinge rotates on precision pivot pins with bronze bushings. For a high polish on exposed areas add $30. 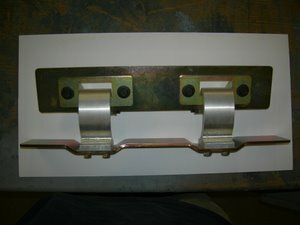 These aluminum door hinges are intended to serve as hidden door hinges for certain fiberglass bodies, but have found many other uses as well. 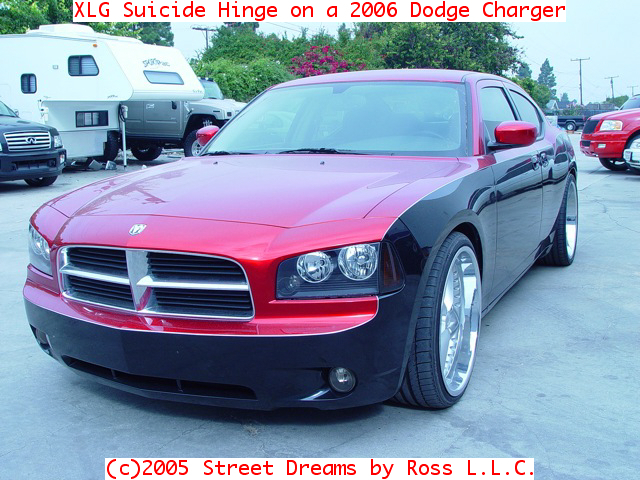 It can be mounted in standard and suicide hinge arrangements. 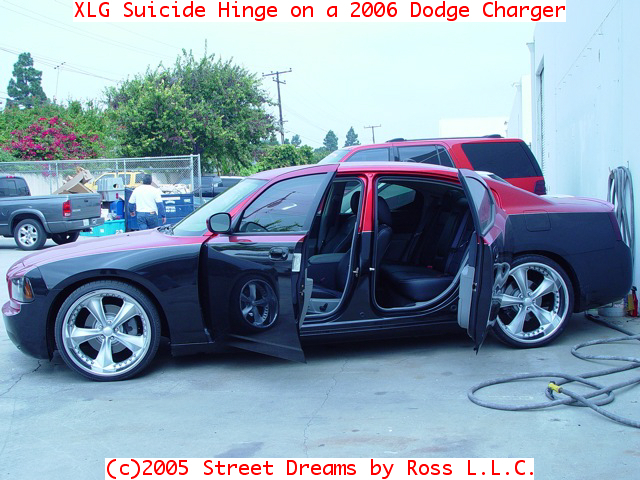 These small sucide hinges are durable and thick. 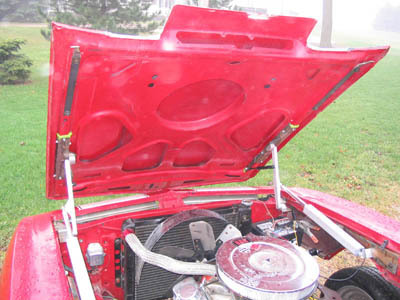 One hinge per set has a ball stud mount for an optional force return using a gas spring. Basic instructions and fixed mount plate plus laser cut mount flanges are included. One kit is intended to install into one door. 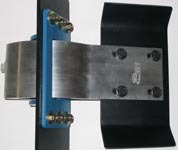 The base mount is available in 8", 10", 12", 14" and 16" center-to-center hinge spacings, meaning the distance between hinge centers. 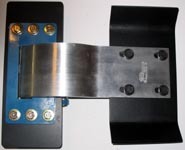 For overall length of base mount plate, add 6" the center-to-center spacing. Billet aluminum door hinges, 2" tall, 2.25" deep, 3/8" thick wall. Brushed finish is standard. The hinge rotates on precision pivot pins with bronze bushings. For a high polish on exposed areas add $30. 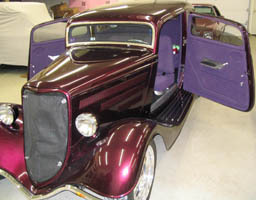 These hinges are designed for street rods and other cars with thin doors, as thin as 2 1/2". 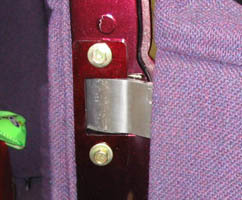 The hinges can swing as much as 110 degrees, which may be limited by the installation. 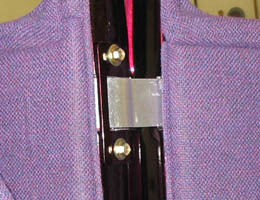 This version uses the more conventional mounting to the jamb surface of the door rather than inserting the "paddle" into the door. 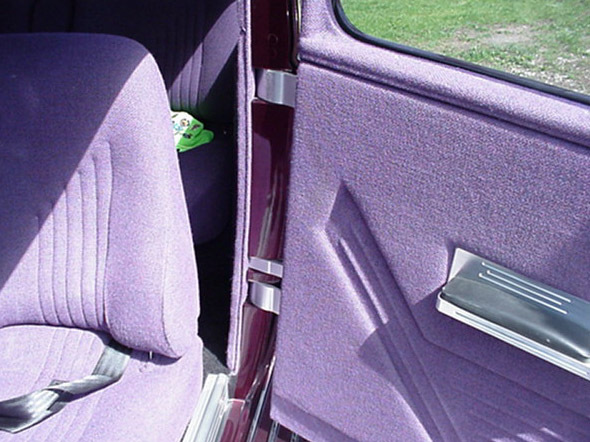 It has also been used as a custom side-hinge pick-up tailgates. The billet aluminum hinge rotates on precision pivot pins with bronze bushings mounted to a steel flange. Brush finish is standard. High polish on exposed areas extra. These are billet aluminum hinges, 2" tall, 3" deep, 3/8" thick wall. 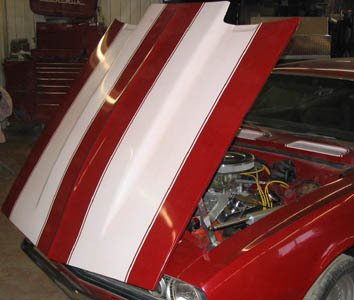 This design is ideal for converting hoods and trunk lids to a "side flipping" design or for the doors of some fiberglass bodies. Brushed finish is standard. 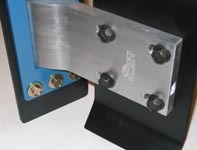 Includes adustable steel mount plates for welding hinges to structure, and pivot hardware. The hinge rotates on precision pivot pins with bronze bushings. 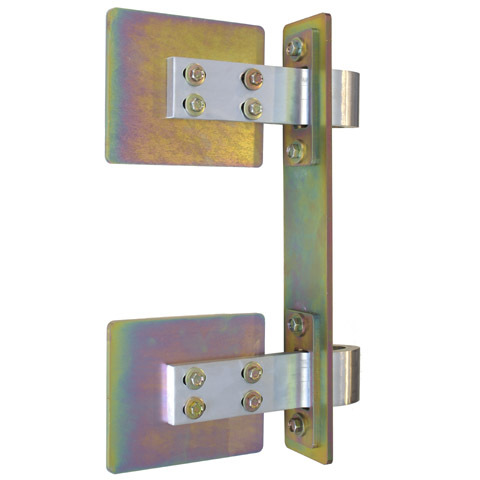 Include bolts, mount plates, flanges and hardware to bolt to door. 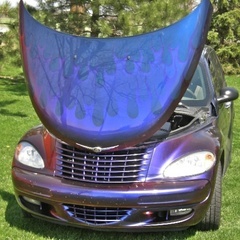 Requires welding and refinishing skills. 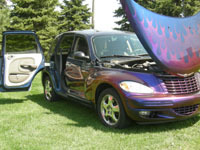 High polish on exposed areas sextra. 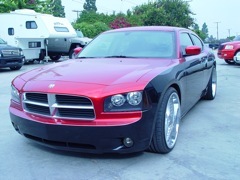 High polish on exposed areas extra. 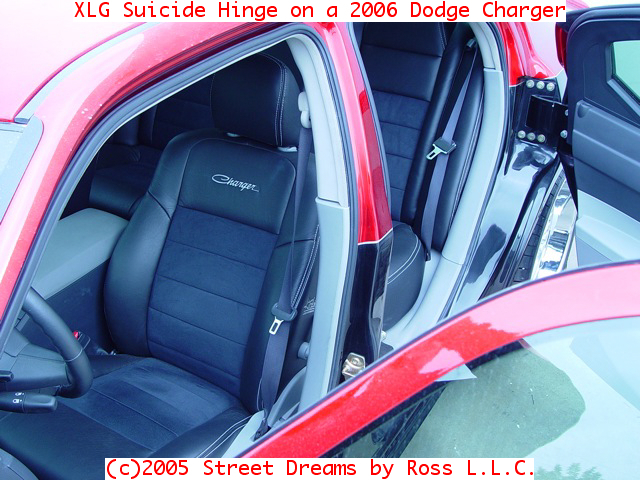 An XLG suicide hinge as installed on a Chrysler 300. 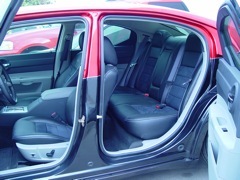 Works great as a single hinge on rear doors of a mid-sized or large four door car. Extra Large Suicide Door Hinge shown partially open This shows the optional ball stud mount for attaching a linear actuator or a gas shock and the wire pass-through for hidden wiring. 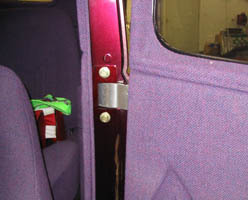 This shows the door side mount area the other end of the wire pass-through opening for hidden wiring. These are billet aluminum hinges, 3 3/4" tall, 4" deep, with a 5/8" thick wall. This design includes a new adjustable steel base plate and mount flange design to make installation easier than previous designs. Brush finish is standard. 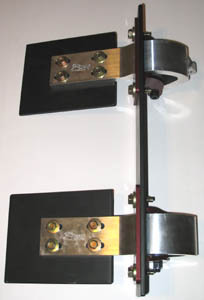 The hinge rotates on precision pivot pins with bronze bushings. These large sucide hinges all include a ball stud mount for an optional force return using a gas spring, gas shock or linear actuator. 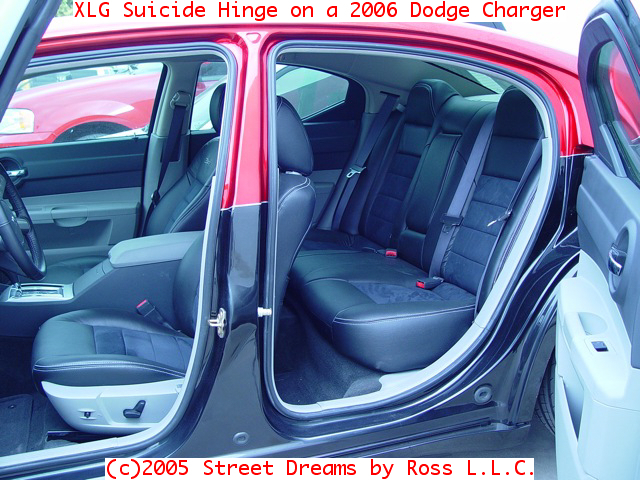 This extra large suicide hinge is intended for medium to heavy weight doors, such as a mid or large sized four door car or a small or mid-sized trucks and SUVs such as the H2 Hummer, Escalade, Ford Excursion, Chevy Suburban, Yukon, Tahoe. 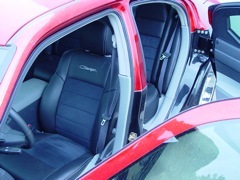 It has also been used on full-sized cars such as the new Chrysler 300 300M, Dodge Charger and Magnum cars. 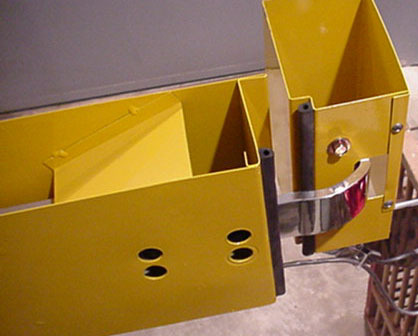 Includes steel mount plates for welding hinges to structure, and pivot hardware. 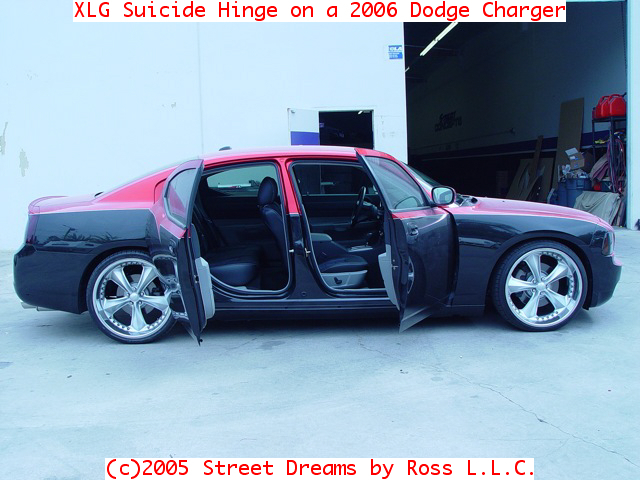 Includes bolts and hardware to bolt to door, but requires mount plats to be welded to the door and jamb. 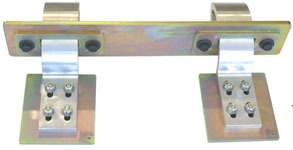 One kit is a single hinge intended to convert one medium-to heavier weight door to a suicide hinged door.